Started the day Monday planning to kite fish. Seas were manageable and the kite flew well until the kite line parted on the first retrieve. Luckily I had the kite in my and right as it happened but clips went in the water so time for plan B. Decided to fish reef in hopes of finding dinner. Action was hot with the front all around us. 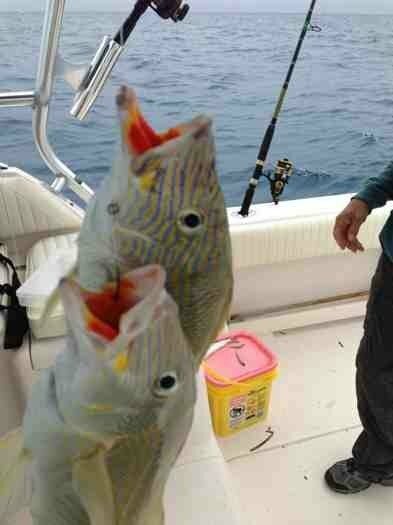 Caught big snapper, yellowtail, Spanish Mac, and 2 50 lb AJs that went after our yellowtails in 50' of water. 11/21 was slower but still managed a decent grouper and some more snapper. Did not take many pictures but here is one of the AJs. Caught plenty of those including this double-header. 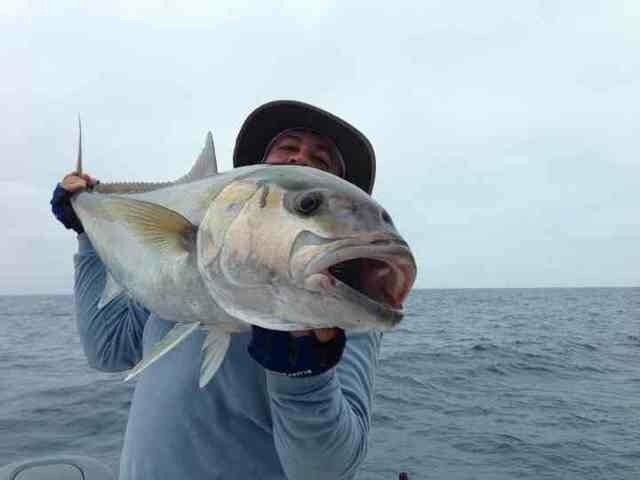 Top fish was lassoed around his bottom lip. I don't mind them. They make good bait. que rico ronco frito.Great job Ovi.